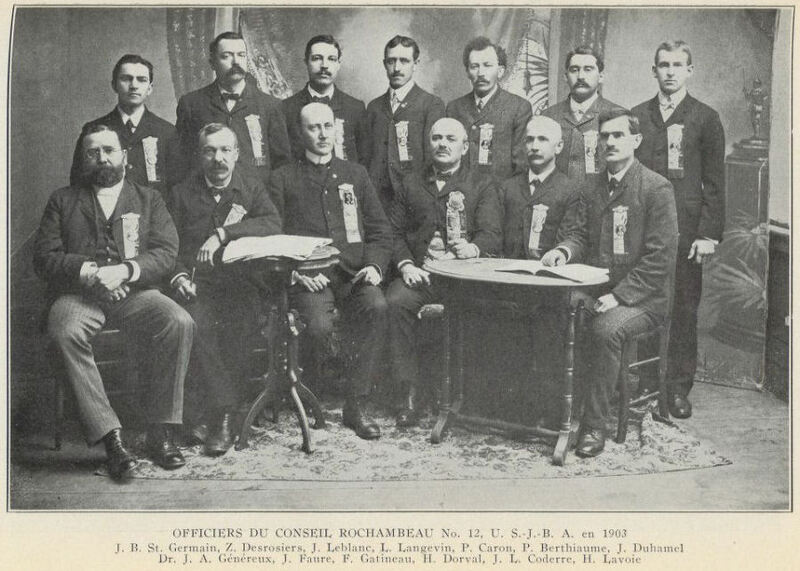 Comments: P. Berthiaume (Nee: ) | Southbridge MA United States | 1901-1920 | Comments: Rochambeau Council No. 12 of Southbridge, Massachusetts. Photograph taken circa 1903.